Disclaimer: This product is only sold by DIY FANS, other sellers are infringing sales, and the materials used are Bad than DIY Fans', please buy authentic products. 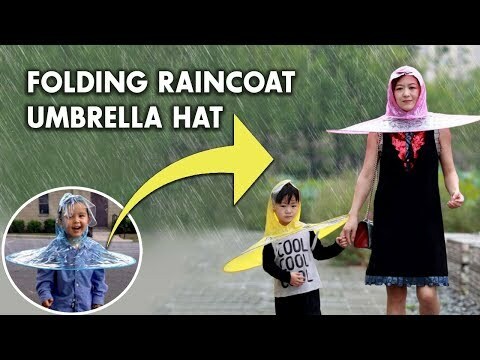 Now it’s easier to stay dry outside while raining by using this hands-free umbrella hat. This hands-free umbrella is available in 3 different sizes. The collapsible cap which folds up more easily than a regular uncomfortable umbrella. The transportation is easy and comes with 2 underarm straps that prevent it from flying away which is another cool feature of this hands-free umbrella. Try it today if it is raining there.